Whenever I get stressed out, I fixate on something else to take my mind off of things. So instead of sorting through my belongings to get ready for our move, I am baking. 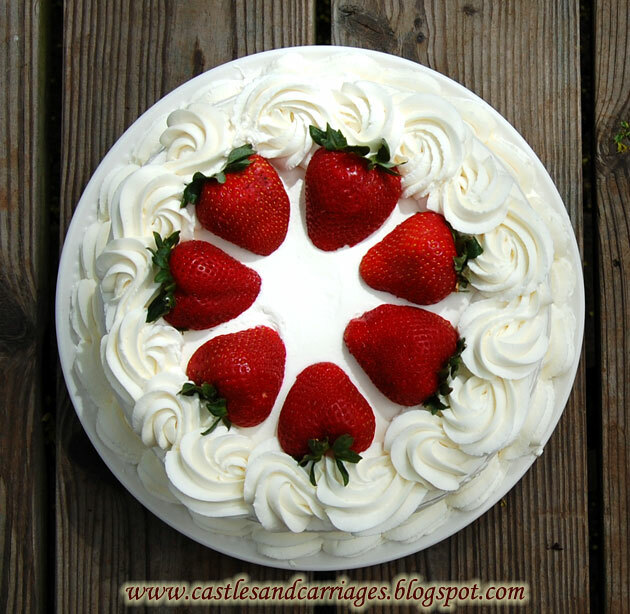 Which brings me to this strawberry shortcake (my latest creation). 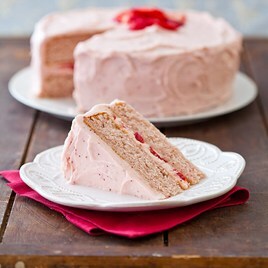 Ever since Williams-Sonoma got rid of their strawberry bundt cake mix I have been looking for another strawberry cake that didn't taste so artificial. 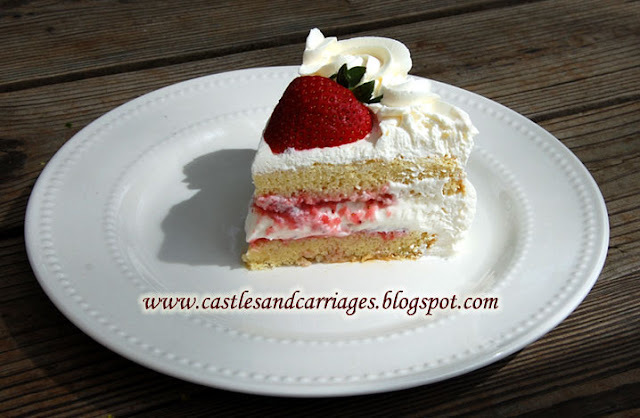 A few months ago I baked America's Test Kitchen's (ATK for short on my blog) Strawberry Dream Cake as part of a Neapolitan cake that I made for Christmas but the cake was too dense. That was something they had mentioned on the show when they made this cake. Others who have reviewed the recipe have said the same thing so I know it's not just a mistake that I may have made in my kitchen. Not wanting to give up on ATK, I tried their Strawberry Cream Cake which was awesome. Although my cake did not rise as much as it should (probably due to over mixing the batter), the cake was still not as dense as the dream cake. I had to improvise the look of the cake since I didn't have three layers. I should have added the strawberry filling closer to the edge of the cake so it would look prettier after cutting into it. Ah, no matter because it still tasted awesome. Next time I just might double up on the cake recipe if I find that the cake doesn't rise high enough for me to slice it in 3 layers. 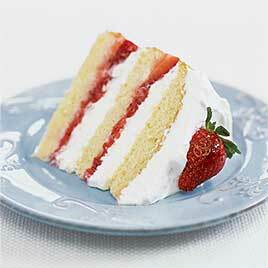 This happens to be the best homemade strawberry cake that I've made so far. 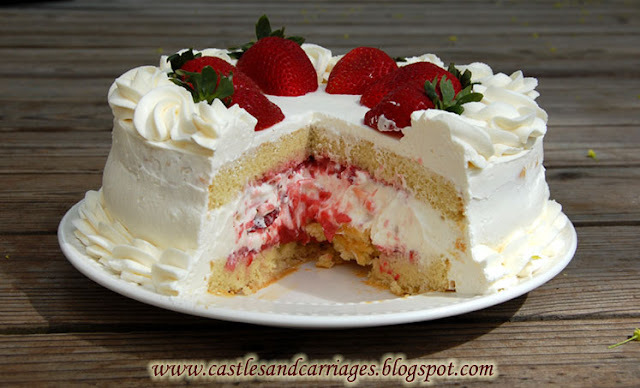 The combination of the whipped cream with the strawberry filling tastes almost like ice cream. The cake isn't too sweet but is perfect for this cake. It doesn't get soggy from the filling! Directions: Head on over to Foodiewife-kitchen.blogspot.com for complete instructions.